The Metropolitan Alvares Julius Research Project (MARP) has published an important article concerning the Cathedral of Our Lady of Good Death (Boa Morte), Colombo, Sri Lanka. This was the Cathedral and headquarters of the Latin Rite (Independent Catholics of Ceylon) of the Indian Orthodox Malankara Church under the headship of Metropolitan Julius I Alvares. The article details the community established by Metropolitan Julius I Alvares and its role as the location for the consecration of Metropolitan Joseph René Vilatte in 1892 (who would become Prince-Abbot Joseph III of San Luigi in 1899). 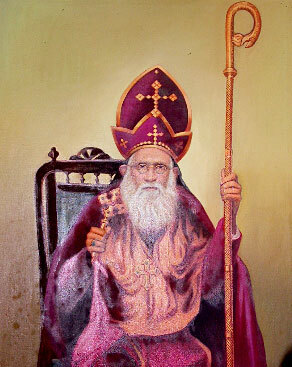 Metropolitan Julius I Alvares was the principal consecrator of Prince-Abbot Joseph III and was also one of the first Patrons of the Order of the Crown of Thorns. As the article recounts, the vicissitudes of the Latin Rite Orthodox community were such that the Cathedral eventually passed into the hands of the Roman Catholic Church, and that church still maintains the Cathedral today.